S5 University - wonderful studio Shape5 template for sites controlled by CMS Joomla 1.5, 1.7 and 2.5. First of all, it is worth noting good optimization template S5 University, template does not load the server, while pages load fast enough. Template S5 University contains 5 styles and more than 30 products for display modules. Also template S5 University multifunction module has a menu with a variety of effects. 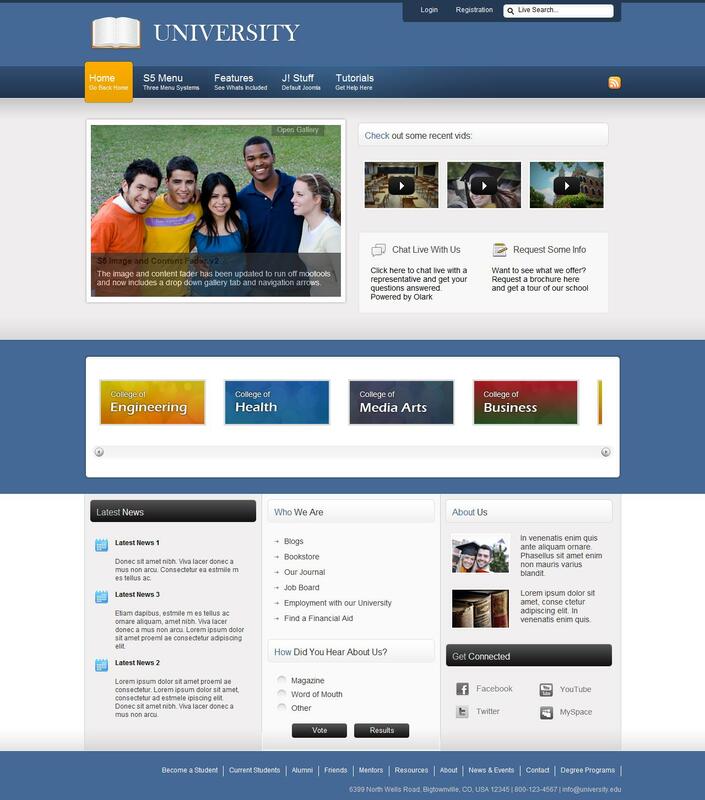 Template S5 University is ideal for sites educational subjects or themes for other sites. S5 University template is easily customizable (has its own control panel where you can adjust any parameter of the site) and masshrabiruetsya. S5 University supports all modern browsers and is correctly displayed in popular mobile devices.